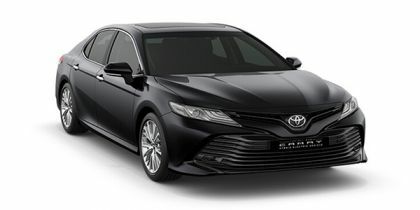 Toyota Camry 2019 price starts at Rs.37.50 lakh (Ex-Showroom, Delhi). In its latest avatar, the Camry is powered by a 2.5-litre petrol motor that’s paired with a 88kW motor. The petrol engine makes 178PS of power and 221Nm of torque. On the other hand, the motor generator dishes out a healthy 120PS and 202Nm. Put together, the Camry dishes out 218PS in hybrid mode. And yes, it is capable of driving purely on battery power as well. Sending all of this power to the front wheels is Toyota’s smooth e-CVT automatic. You can shift through virtual ratios using the paddle shifters too.